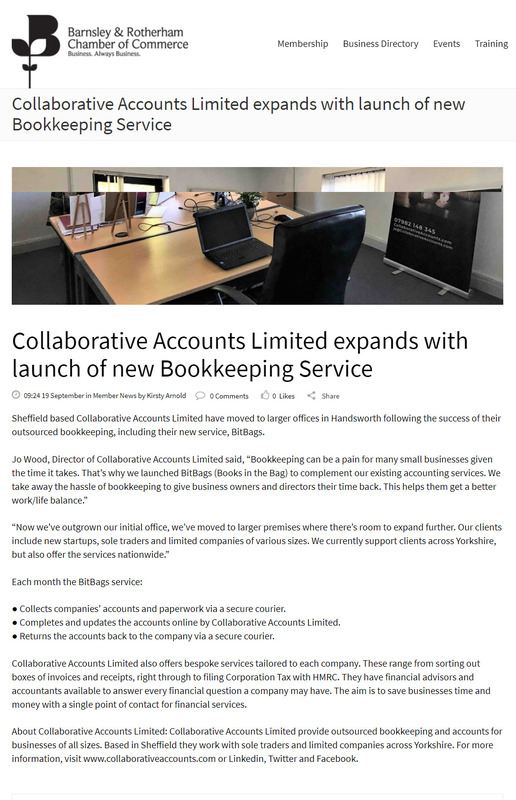 Collaborative Accounts Limited provide outsourced bookkeeping and accounts for businesses of all sizes. Based in Sheffield they work with sole traders and limited companies across Yorkshire. The project was to write a press release about the company’s business expansion and highlight its BitBags service. The story was published by the local Chamber of Commerce and the client was delighted with the coverage.